This is the final episode of my family history trilogy. The baton passes to my father, Igor, who is coming to terms with his decision to immigrate to the United States. After being fired from his job as a consequence of his US visa application, he has to find a way to make money. He asks my grandfather to come on as an assistant in the photo studio, and proceeds to find his own path to becoming a professional photographer. After we immigrate to San Jose, California in 1990, my father earns his first dollars as a wedding videographer. This story has everything – a gypsy, a risky bet, and a trial. It’s truly an incredible journey – one that clearly became the inspiration for my own career. 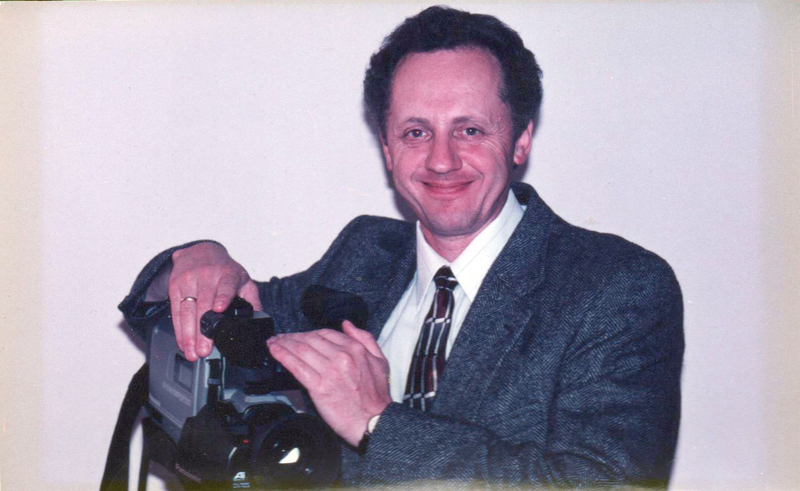 Below, a photograph of my father from the mid-90’s, with his Panasonic video camera.